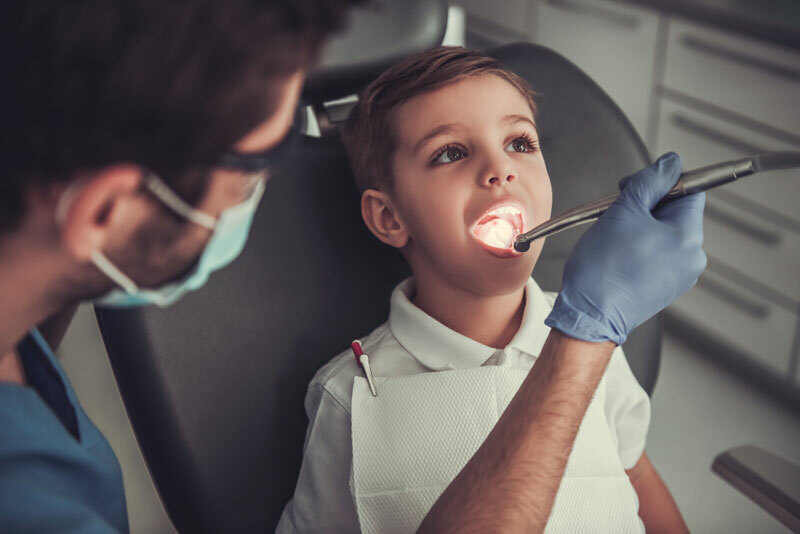 As dentists specializing in children's dentistry, our doctors know that sometimes children need a little extra help with their oral health care. When it comes to restorative dentistry for children, it becomes even more important for your children to feel comfortable and relaxed during their appointment. It's important to remember that even with primary teeth, you still need to make sure that your kids' teeth and gums are healthy, even though they are temporary. The health of your kids' primary teeth lays the foundation for the health of their adult teeth. At Wenatchee Valley Dental Village, patient health and wellness is our top priority! Cavities develop at all ages, and a cavity left untreated can damage the tooth. At Wenatchee Valley Dental Village, we protect the tooth with composite fillings, which is a tooth-colored mix of plastic and glass to protect the tooth from further damage. Amalgam fillings, traditionally known as silver fillings, is a mixture of mercury, copper, silver and tin to create a very stable, durable tooth. These fillings will prevent bacteria from getting into the tooth and spreading decay. We are very gentle with our procedures and are conscientious of your child’s comfort during their treatment. If your kids have tooth decay or another dental problem, they may need to have their tooth extracted. We know this might sound scary, but tooth extractions are straightforward and with our safe sedation options, your child will be completely comfortable. Our doctors have long-term experience helping children who have dental anxiety, and their relaxed and calm approach will put your kids at ease. If restorative care is needed, Wenatchee Valley Dental Village is equipped to restore your children’s dental health. By taking care of your kids’ oral health at an early age, you are ensuring they have a lifetime of healthy smiles. Our sedation options for kids can help put them at ease.